When it comes to purchasing your new iPad when it launches, you don’t have to worry about long lines outside of an Apple store, or AT&T shop. 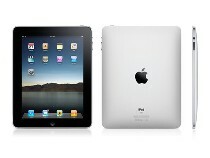 According to Apple COO Tim Cook, the iPad will be available at launch time with select partners which includes Best Buy. Additionally, his statements hinted at an availability with AT&T, who is set to carry the 3G internet support.